The Dopecoin (DOPE) development team is pleased to announce the launch of the full release of Crypto Billings. Crypto Billings is a custom built from scratch payment gateway designed to create a seamless experience for e-commerce merchants to integrate cyrptocurrency payments into their online retail operations. • Full support for Dopecoin. • An easy to install WordPress plug-in for the popular e-commerce platform WooCommerce. Crypto Billings is already in the process of developing support for Bitcoin (BTC), Ripple (XRP), Litecoin (LTC), and Dash (DASH). The team is open to considering the addition of other popular cryptocurrencies but for now DOPE will remain the exclusive marijuana themed cryptocurrency to be supported by Cyrpto Billings. 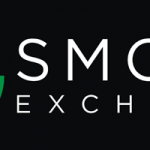 Tokens from the Smoke Exchange will also be supported when the advertising platform is launched in Q1 2018. Crypto Billings is designed to facilitate a seamless process to make it as easy as possible for merchants and e-commerce developers to add cyrptocurrency payments to their online retail platforms. The development of additional plug-ins for the most popular e-commerce platforms is already underway. In the near future Crypto Billings will also offer easy to install plug-ins for OSCommerce, Magento, and OpenCart. Dopecoin founder, Adam Howell, heralds this release as only the beginning of what he is calling “an avalanche” of development related releases and partnership announcements in the near future. These developments are poised to rapidly propel the cryptocurrency towards its ultimate goal of mass adoption by the mainstream legal marijuana industry. “The Crypto Billings release lays the foundation of everything that is on the horizon, it paves the way forward. Crypto Billings is the bridge that ties it all together. 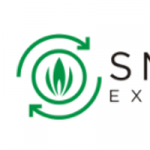 Our team has been working tirelessly to create the infrastructure necessary to ignite the synergy between DOPE and The Smoke Exchange (SMX) advertising platform that will ultimately guarantee the success of both projects. I want to thank our development team for all their hard work and say congratulations to our community, today is a day for us to celebrate”.